In this photograph taken on July 21, 2017, boxer Venkat Naik (left) with the Bahubali Boxers is punched by Maratha Yoddhas' Sandeep Singh during a Super Boxing League event in New Delhi. NEW DELHI - Boxing, badminton, poker, pool -- every sport imaginable is rebranding in India as a "super" or "pro" franchise-based competition chasing a slice of an emerging billion-dollar entertainment market dominated by cricket's Indian Premier League. The star-studded Twenty20 tournament has inspired a raft of glitzy new sports leagues seeking to replicate the winning formula that recently landed India's most popular sporting event a bumper $2.55 billion broadcast deal. Earlier this month Rupert Murdoch's Star India beat rival bids from Facebook, Sony and India's Airtel to land the IPL's TV and digital rights over five years from 2018. But long before it hit the jackpot, the IPL -- famous for its pyrotechnics, cheerleaders and huge signing bonuses -- had no trouble filling stadiums and attracting huge TV audiences a decade after its debut. Its huge success has not gone unnoticed by promoters hoping that less popular sports such as kabaddi, football and boxing can make inroads in cricket-mad India. Celebrity talent and big-name sponsors are being deployed to whip up excitement. But Bollywood superstars are not the only investors in these nascent leagues, as foreigners are attracted to the growing Indian sports market. British-Indian entrepeneur Bill Dosanjh has launched two separate leagues in a single year -- mixed martial arts and boxing. The Super Boxing League, promoted by British former light-welterweight world champion Amir Khan, offers fans the spectacle of a US-style fight night: glamorous front-row attendees, referees in bow ties, big hits and a sense of real theatre. It is "what Bollywood gives us," Dosanjh told AFP, "action or romance. It does not get much more action to see two gladiators really go at it. We really believe that these fight nights that we are doing and the league format will attract the viewer." Many pugilists put their national careers on the line signing up for the independent league. Dosanjh was forced to strike out alone after India's national boxing federation refused to endorse the tournament. But the recent success of Olympic medallist Vijender Singh on the pro circuit has boosted confidence that this maverick league could break new ground for the sport in India. "I hope boxing matches up the ongoing league fever in the country, like IPL and kabaddi," said amateur boxer Deepak Tanwar Singh. Kabaddi is a hugely-popular traditional game. "We are getting fame and money from here and in future boxers representing India in the Olympics will go from the amateur as well as the professional circuit." Many of these independent leagues are improving the quality and breadth of sport in India, and offering young hopefuls a platform to showcase their talent beyond the national fixation on cricket. India won just two medals in the Rio Olympics, despite boasting a population of 1.25 billion, and most sports heroes are still born on the cricket pitch. Sports commentator Sunil Taneja said new franchises moulded in the image of the IPL were giving rise to sports icons outside the traditional domain of cricket. They are also generating big money. "Before the advent of the Pro Kabaddi League there was no money at all in the sport," Taneja, who has been associated with the Pro Kabaddi League since its inception in 2014, told AFP. "Now a player like Nitin Tomar is not only a household name, but earns a handsome purse." 22-year-old Tomar made history in the latest round of player auctions in the Pro League, which is in its fifth season. The young star from a small village in India's north was scooped up for a whopping $145,000, an unprecedented signing fee in the modest world of kabaddi. The league received a major ring of endorsement in May when Chinese smartphone giant VIVO signed a five-year sponsorship deal worth nearly $50 million. Even less conventional sports are establishing pro leagues, bringing together India's best with the promise of big sign-up fees and prize money. The inaugural season of the Indian Cue Masters League, or "Cue Slam", wrapped up in August, with foreign snooker players joining local pros for a strong first showing. The "Match Indian Poker League" kicks off its first edition in October as the field for professional franchises expands ever wider. India is on track to replicate the success of professional sports franchises in other countries, said Utpal Gandhi, a senior stakeholder in Cue Slam, the Premier Badminton League and an upcoming volleyball competition. "In the United States this is a very large industry. India and Asia are following in its footsteps," Gandhi told AFP. 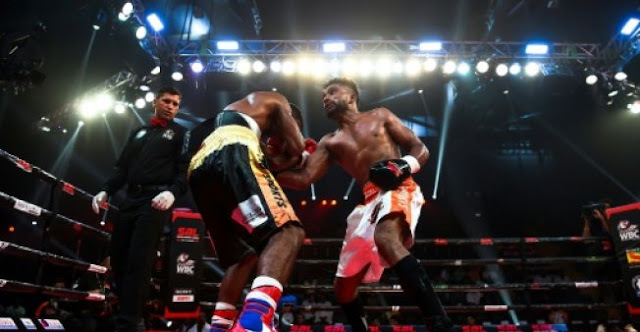 Boxing, badminton, poker, pool -- every sport imaginable is rebranding in India as a "super" or "pro" franchise-based competition chasing a slice of an emerging billion-dollar entertainment market dominated by cricket's Indian Premier League.